We Americans love pancakes. Me, I don’t necessarily love them but I have to admit they’re one of my guilty pleasures and I like them enough where I crave them once in a while. 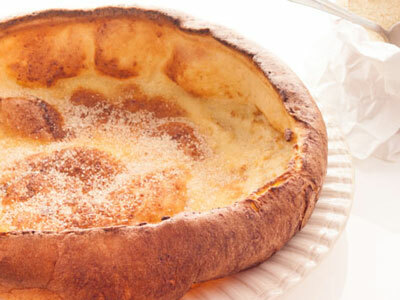 If you think about it, they’re the perfect breakfast–they’re cake-like enough to be a breakfast pastry, so they go really well with breakfast meats like bacon or sausage. Lots of people like them on the sweet side, with whipped cream, maple syrup, fresh fruits, chocolate chips, whatever. 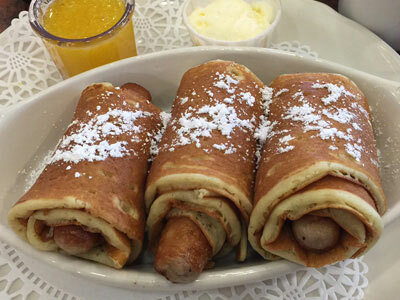 I prefer a balance, so I take a bite of pancake, then a bite of sausage, then a bite of pancake, take a sip of coffee, more pancake, then another bite of sausage, then a bite of…well, you get the idea. 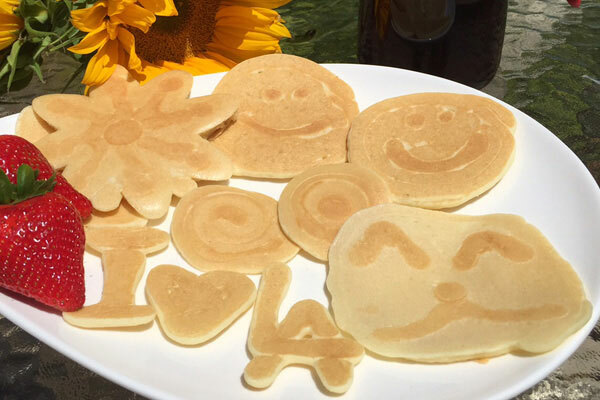 I like to play with my pancakes. The ones at the top of this post were made with a squeeze bottle and a couple of pancake molds that you can get anywhere. Just let the design part cook a little bit longer than the rest by drawing it first. Then fill the background in and finish the rest of the pancake. 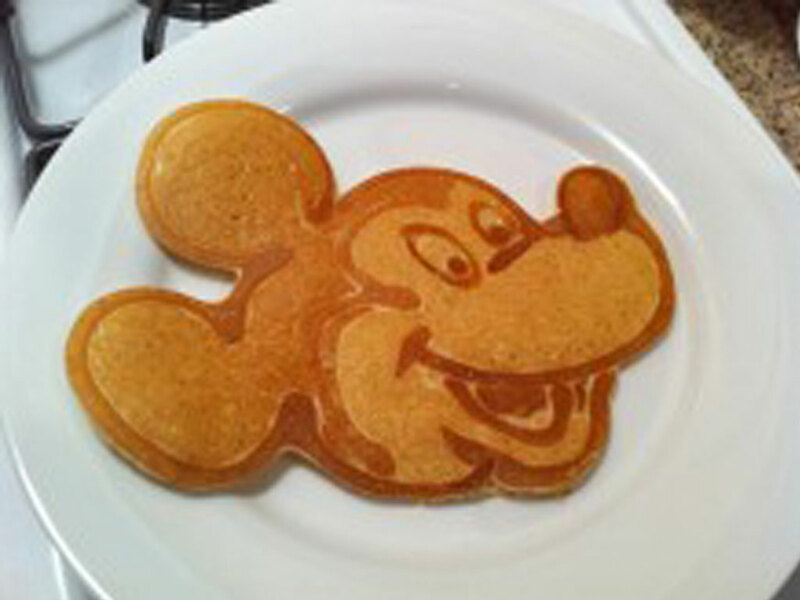 The design part browns darker than the rest so you get a pancake outline. Woot! 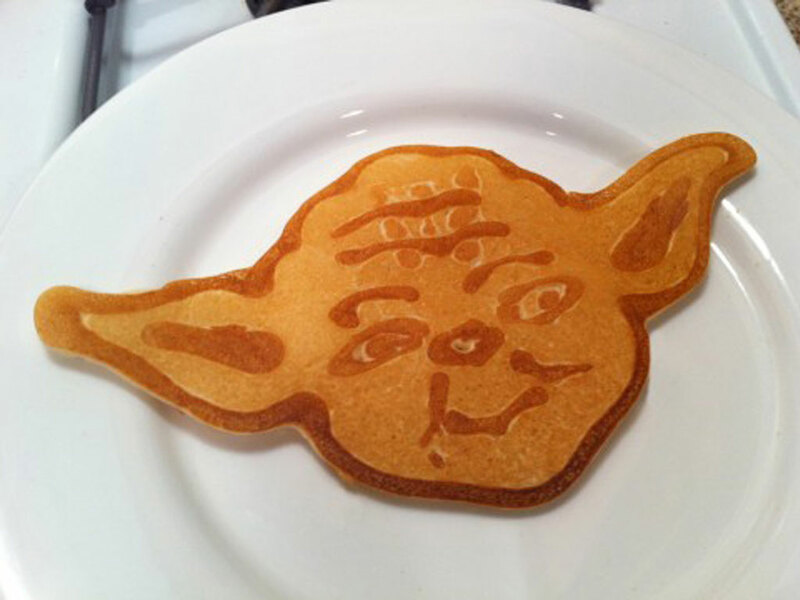 Pancake art! And here’s a few links to some pancake recipes on the Zojirushi site: Blueberry Whole Wheat & Gluten Free. 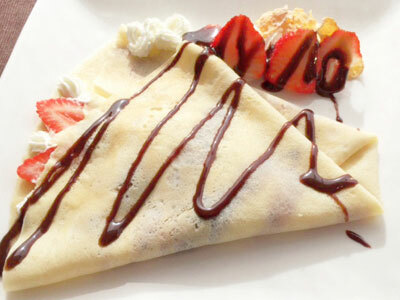 And a Spring Crepe one too. ENJOY! Whether you’re en route to work or hanging out by the pool, we know it’s important to you to stay hydrated in style. 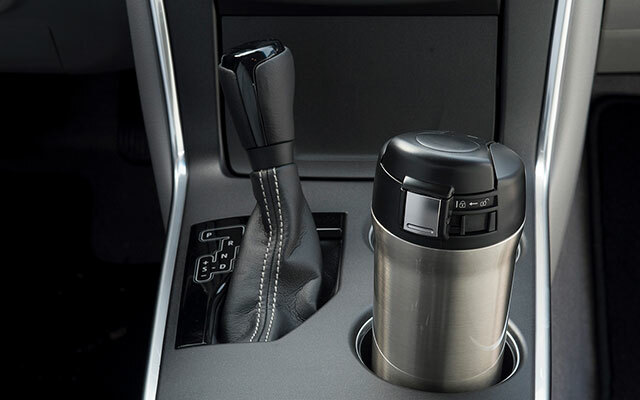 That’s why we’ve developed the SM-YAE48, a travel mug designed with your lifestyle in mind. Enjoy up to 16oz. of your favorite hot or cold beverage in a new and improved style that maximizes capacity while minimizing space. Treat yourself to a comfortable drinking experience with a wide spout mouth and tapered lid cover that won’t block your line of sight when you’re on the go. With a stain-resistant SlickSteel® interior, easy-to-fill wide opening, and partially disassemblable lid, this mug is also a breeze to clean. And, no matter how bumpy the roads you travel, or jumbled your backpack or purse, its leak-proof lid and safety lock guarantee your drink gets wherever you’re going spill-free. It gets even better! 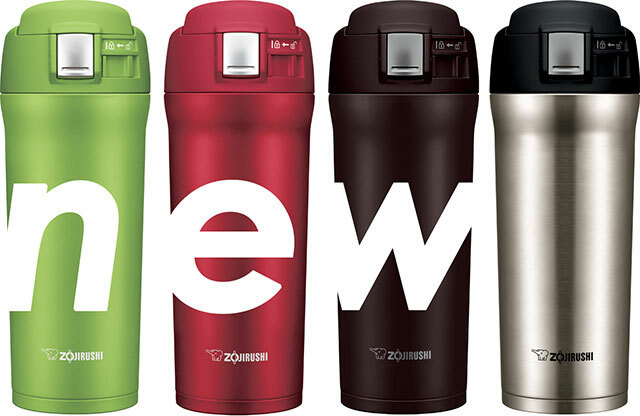 The SM-YAE48 is available in four stylish colors: Stainless, Dark Cocoa, Cherry Red, and Lime Green! So, what are you waiting for? Fill this mug up with today’s piping hot black coffee or iced fruit tea, and savor your drink at one of your favorite places. We’ve got ya covered! Your Sushi Party Awaits: Working with Makisu! If you do one thing this summer, it should be throwing a sushi party! No, seriously–it’s a great way to get together with friends, get creative, and enjoy some good food while you’re at it. 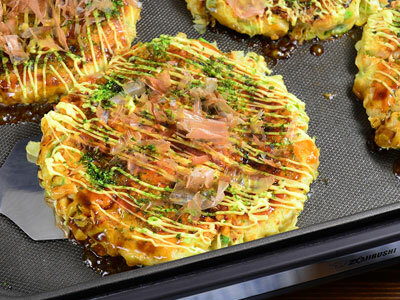 In addition to the usual essential ingredients (fresh fish, wasabi, soy sauce, nori seaweed and lots of sushi rice), you’re going to need a makisu mat. A makisu is that tan-colored mat made of woven bamboo sticks and cotton thread that you often see at the sushi bar. Sushi chefs use the makisu to shape sushi rolls, and sometimes egg omelets. They aren’t very expensive, and are simple to clean and store. Just be sure to completely scrub off any food bits, and dry completely after washing to avoid bacteria growth. It may seem easy, but it’s actually a bit tricky to roll sushi using makisu. Have you had those floppy rolls that fall apart when you try to pick up with chop sticks? That’s a bad example right there. A properly rolled sushi should hold its shape when you pick them up. But don’t worry, we can show you how to roll sushi! Check out our maki sushi recipe here to learn how. Full disclosure: Creating a sushi roll is not as easy as it might look, but that’s part of the fun! Throw yourself into it, and don’t be afraid to make a mess. Sushi parties can get a little messy, but we guarantee it will be well worth it! Go to your local Japanese market to get all the ingredients you might need. Be adventurous and fill your rolls with your favorite ingredients—how about tuna, sriracha, Japanese mayonnaise, crab, octopus, cucumber and salmon? Don’t forget pickled ginger and sesame seeds for garnish, and plenty of nori (seaweed) or soy paper to wrap! We’ll do what we can to help you get that sushi rice just right, and the rest is up to you and your friends. We promise, it will be a party to remember. Enjoy! Doyo-no Ushi No Hi, A Day for Eating Eel! One of our favorite summer holidays is called Doyo-no Ushi No Hi. It falls late in the month of July when the weather is hot and humid, and it is all about eating eel to beat the heat! Sound crazy? It has been a tradition in Japan for hundreds of years. Japanese summers are hot and humid, and it can become quite exhausting when you are slogging through those sticky humid days! We call this “summer fatigue” natsubate, and in Japan we believe that eating vitamin and mineral rich eel will help us get through the heat. If you ever find yourself in a Japanese supermarket this time of year, you will see eel being sold quite often. 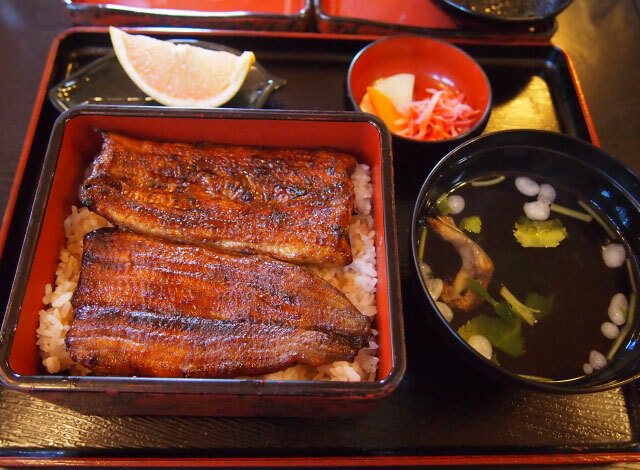 One detail to note is that Japanese eel or unagi is always served with a topping of sansho pepper, which is similar to Sichuan pepper, but with a citrus note. Sansho has a number of uses in Japanese cuisine, but the most famous is definitely with eel. This spice has an effervescent cooling sensation when you eat it, as well as a slightly lemony and earthy quality, which complements the rich eel very well. In fact, most store-bought eels come with the sansho prepared in a small packet on the side. Sansho pepper is a perfect pair with eel, but throughout the year it can be enjoyed with a number of other items such as chicken, tofu, and fish dishes. It is also one of the ingredients for the popular seven spice blend called shichimi togarashi, which goes great with yakitori (grilled chicken on skewers), soups, and noodles. Sansho pepper by itself may be a little bit overwhelming, but you will probably appreciate it in shichimi togarashi. Give it a shot! 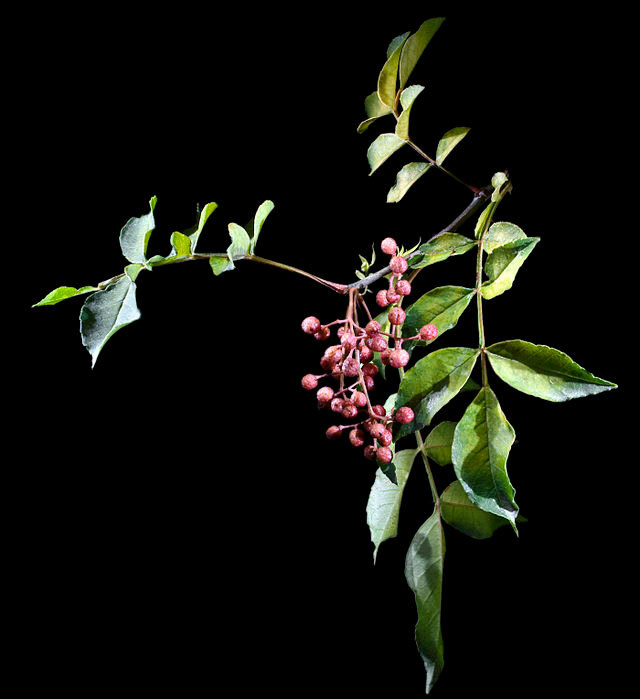 Have you ever tried to cook with sansho pepper? We’d love to hear your recipes and uses for this amazing spice!